Beej Das is running for Congress from Massachusetts’ third congressional district, which has some 10,000 Indian American voters. Indian American lawyer and entrepreneur Abhijit “Beej” Das is vying against nine other Democrats in Tuesday’s primary from the Massachusetts’ third congressional district. The reliably Democratic district is currently represented in Congress by the retiring congresswoman Niki Tsongas. If he clears the crowded primary, Das, son of a law professor mom and civil engineer dad, has a fair chance to become the first Indian American member of Congress from the East Coast. 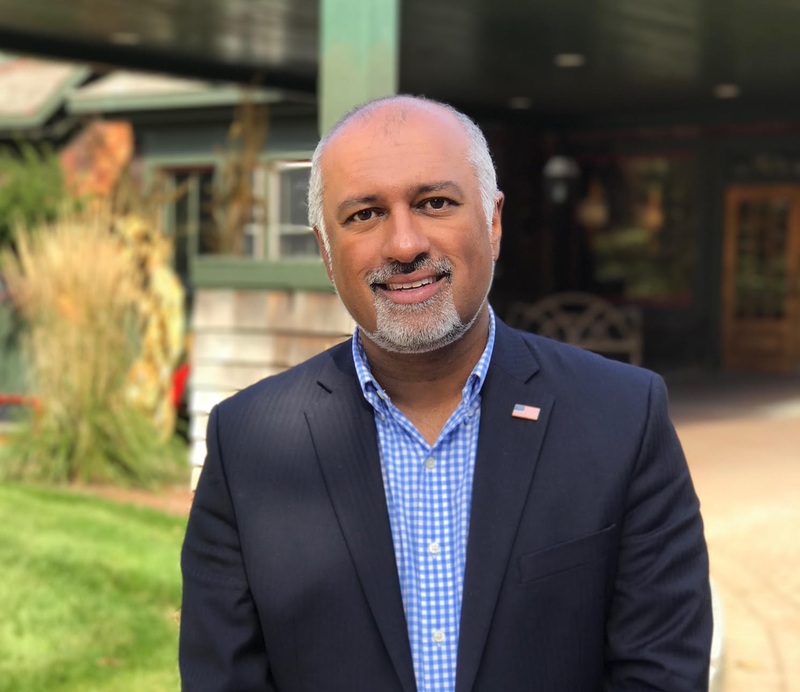 Popularly known as “Beej,” the New Englander is also the first Indian American to run for Congress from Massachusetts. Das, who grew up in Lowell, MA, earned a bachelor’s degree in political science from Middlebury College in Vermont and a JD from the University of Michigan Law School. After practicing law for a while, he went on to work for Hilton Worldwide, where he was responsible for the development of its brands on the Indian subcontinent. Das left Hilton to launch his own hospitality business, Troca Hotels & Yachts. In an interview earlier this year, Das spoke about his candidacy and campaign. Here are edited excerpts. You are not a regular politician. How is the campaigning going on? The campaign has been great. Before we started, we were given the usual warnings about me not being a “regular politician.” In a very short period of time, we have made lot of a progress in terms of getting ourselves out there, connecting with the broader community, reaching out to communities that I have a special affinity to, including the Indian American community. So, we are very encouraged. It would be fair to say that I am one of the Indian American candidates, currently running, who has a chance of winning the race. That gives us lot of energy and hope. Tell us a little about the district and the demography. How diverse is it? The district consists of a number of cities and towns. It is one of the larger districts in Massachusetts. By geography, it touches the northeastern corner of the state and goes all the way down to communities in Concord and Carlisle, and hits the large community of Marlborough and hits back up north. It comes back around and hits places like Lowell, Chelmsford and Tyngsborough. You have 700,000 plus people in the third district. It includes the city of Lowell, which is well-known as the birth place of the Industrial Revolution and the labor movement in America. It has an interesting mix of urban and suburban boroughs. There are approximately 10,000 Indian American voters in the district. How is the response among the Indian Americans about your candidacy? Within the Indian American community in the district and throughout Massachusetts, there is such excitement about the growing power of the community. What is resonating is the issues that we are talking about. I am running for congress to protect the American Dream. A lot of us in the Indian American community are alarmed by the political situation in Washington. The fact that I am fighting on behalf of all of us to bring our perspective to Washington is resonating with the community. The East Coast, from Maine to Florida, has never elected an Indian American to a national, federal office. That is why [the candidacy] has created such excitement. When did you start entertaining the idea of running for congress? I started thinking about it after the last election. When Niki Tsongas, the incumbent congresswoman, announced that she was not running for re-election [in the summer of 2017], that’s when I thought there is a real opportunity here for me to run. Running against an incumbent is very difficult. This is an open seat, and when a open seat comes along and you have the connections to the community that I do — my mother has been a professor in law at the University of Massachusetts for 45 years, and that connection, her community connections, my connections as an owner of a business that’s very prominent in the district — the work I have done, the investments we’ve made, all that together, and I would say in August, late August or early September of 2017 is when I said you know what, I am going to do this. In September [of 2017], I decided that it was the right time for me to run. Do you consider yourself one of the frontrunners? Yes, and it’s becoming more clear as the press gets to know all of us. My experience between constitutional law and as a business owner, it is significant. It is 20 years of experience that’s relevant for this election, and probably another 15 years of engineering and technology background that I have in terms of business development and the retooling of the district to be economically successful. Objectively you could say that I am one of the most qualified candidates in the race. Are you the only entrepreneur in the race? I’m the only candidate who has a significant number of employees working in the district. We have 75 employees who are regular payroll employees. There’s another candidate who has a consulting business. I’m the only real business owner that employees people in the state. Tell us a little bit about your parents, where did they emigrate from? Mom and dad, their combination is who I am. They met in 1958. My mom Mithra Das was a professor at the University of Rajasthan. She came to the United States to do her PhD. My dad Mukti Lal Das was a civil engineer. Mom started teaching in 1972. Dad was born in Assam and mom was from east Bengal, later they moved to Kolkata.